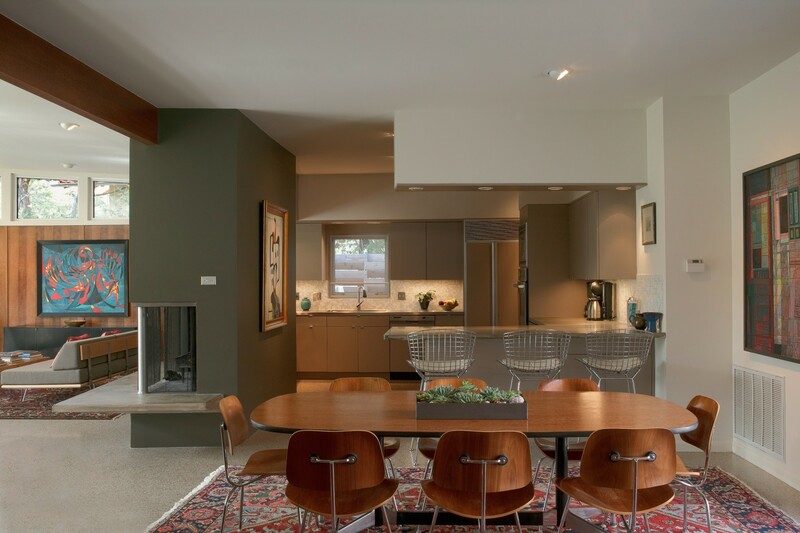 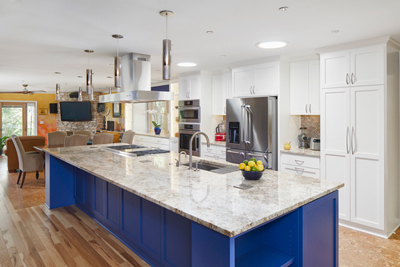 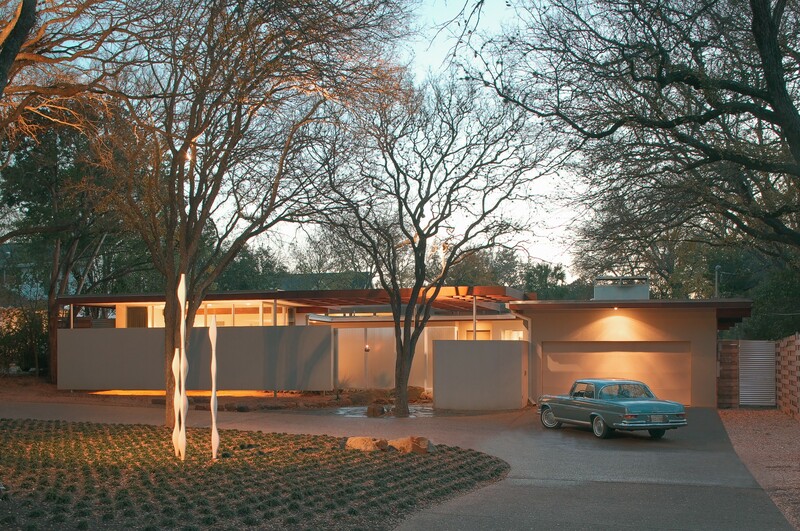 Updating, expanding and restoring the original luster throughout this 1950’s modernist residence were the goals of both the owners and architect. 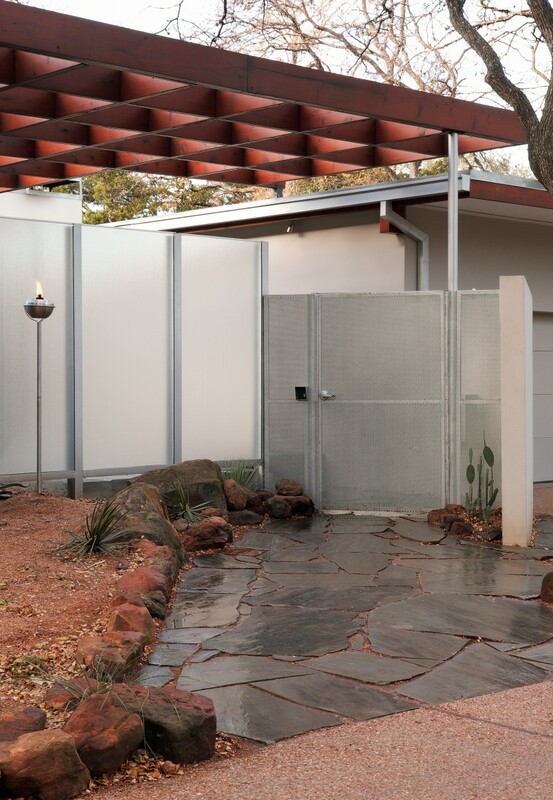 A new entry courtyard, added for privacy from the street, features a pierced metal gate and is flanked by a series of freestanding, stucco walls and translucent glass panels. 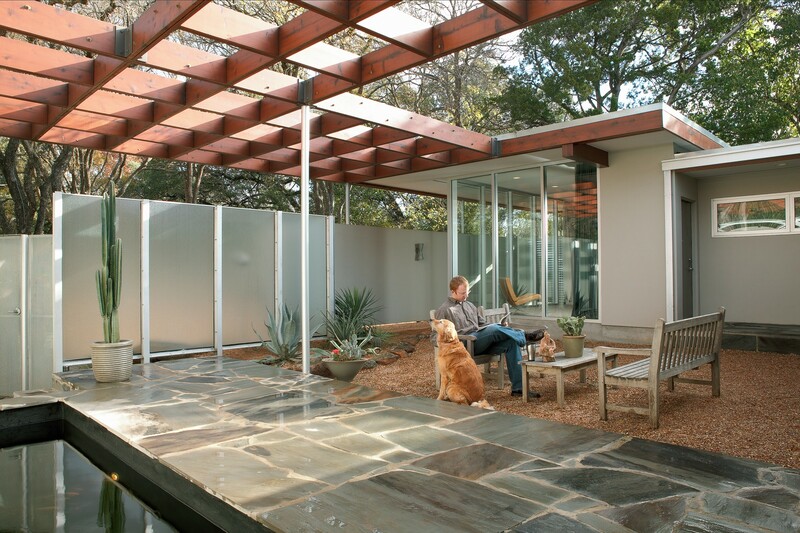 Extending the horizontal roofline over the courtyard, a redwood trellis defines the outdoor space as it casts a grid-like shadow pattern across the ground. 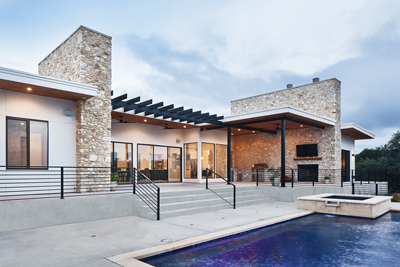 Proportional consistency and dramatic plays of light and shadow between the courtyard and the new facade create a look of clean modernism and continuity between the existing home and the master suite addition. 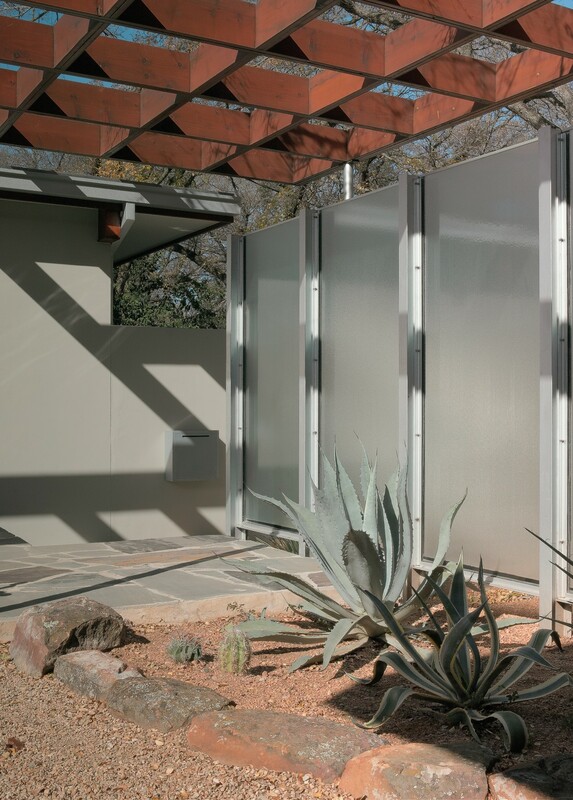 The final design provides the owners with added privacy without sacrificing the home’s natural open character. 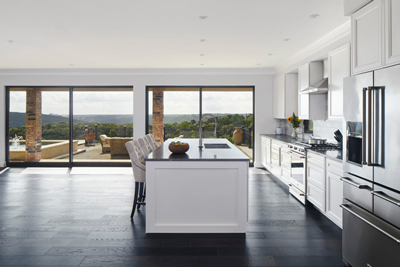 The modern features of the home were preserved and enhanced by subtle touches to accentuate its unique and simple elegance.